Rubber Gloves, I use these for chores, like doing the dishes and cleaning the house. 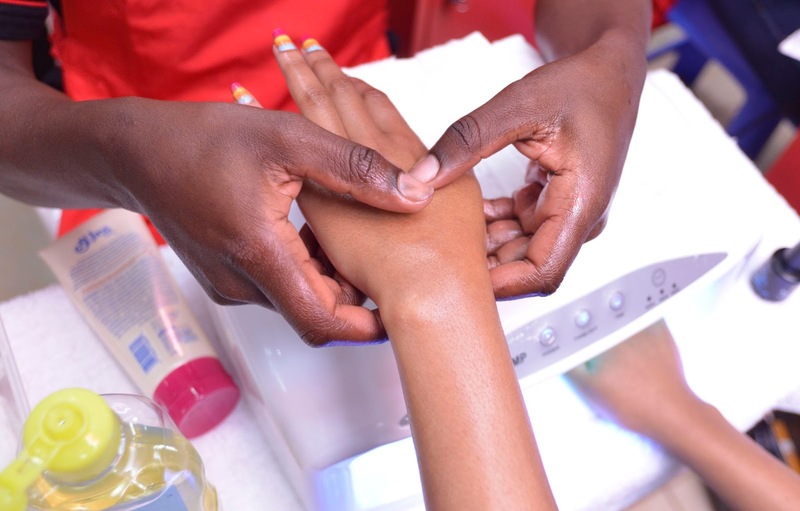 it minimizes the contact of nails with water, which tends to weaken the nails. Removing the existing polish with a good nail polish remover. This and buffering helps in keeping the nail surface smooth. Apply the cuticle cream. Helps keep the cuticles soft and easy to get them out. Trimming and filing the nails helps in making them strong. There are no rough edges ,which makes the nails to break easily. Using nail hardener and primer. the Primer serves as a basis for the other colours to follow. i find the two quite helpful since they keep the nails from discoloring. We were trying a new technique, new to us since its the first time each of us did it. It was quite interesting, the colours you choose are applied on a sponge then pressed on the nail. 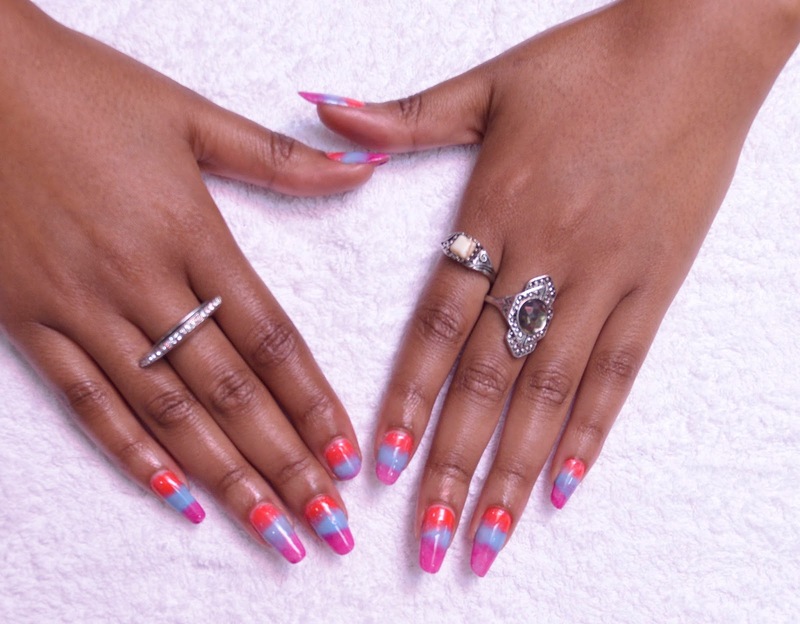 The number of colours depend on how long the nails are. so i choose 4 colours while my twin choose 3 which our nails could accomodate. Each coat stays in the UV machine for about 3-5 minutes. Then after the whole process is done you get a hand massage. This is one of the best nail salons i have gone to. The service was great.You get undivided attention. The staff very courteous and welcoming. What do you guys think of the outcome? I do like the outcome thinking of having the colors on for about 3 weeks. 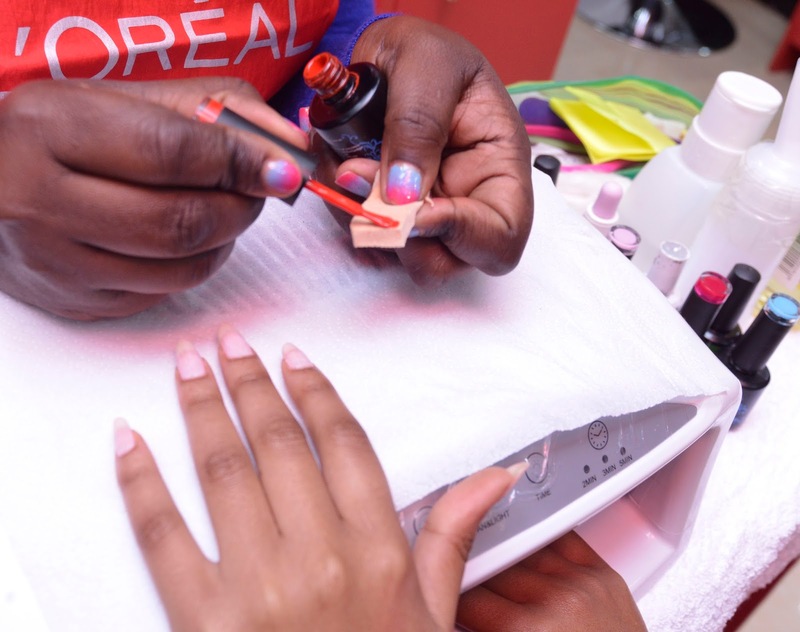 For those in Nairobi try The Top Rose Beauty Salon, get gel polish for as low as Kshs. 500.They have a branch in town and another in westlands at the krishina Centre. 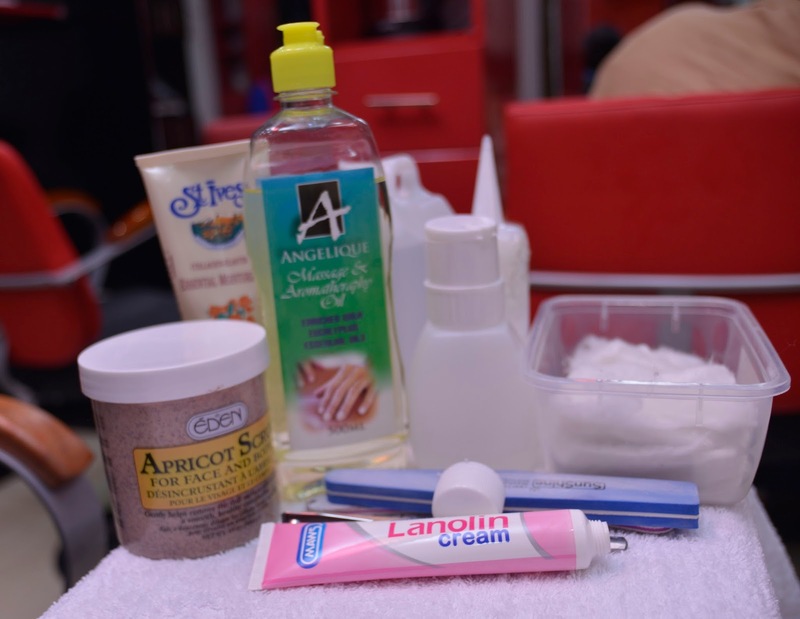 We hope you enjoyed our tips on nail care. Great tips! It is a little challenging keeping nails healthy when they are painted frequently. I love your manicure! Great tips! The nails look lovely! Ha haha, indeed you do dear! Love the colors and your nails. So cool what you show here! I keep hand cream in my purse, at my desk, on my vanity- everywhere! So important! nails are very important to care about I absolutely agree. 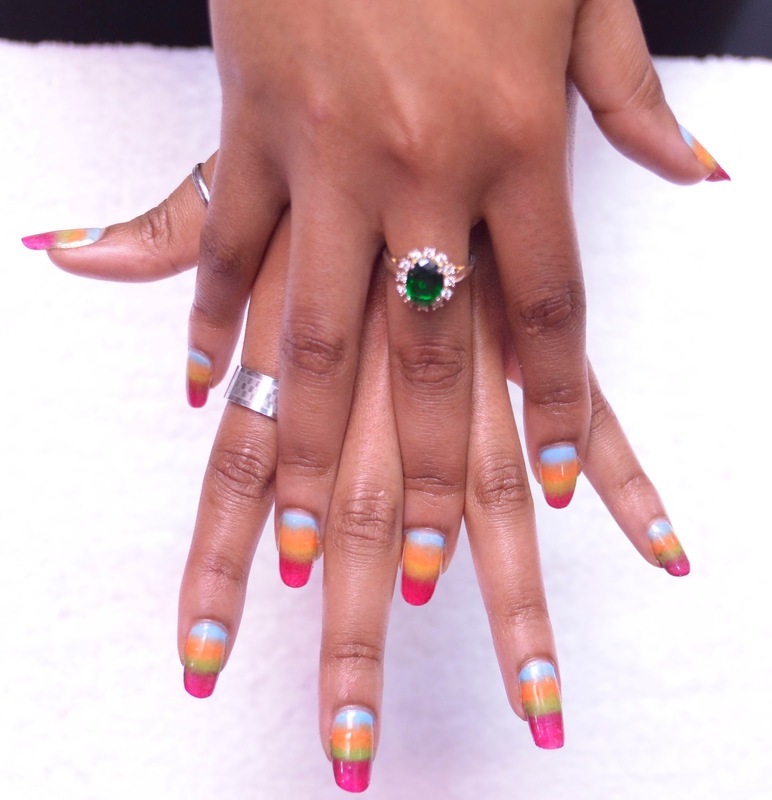 awesome nail-do! They look amazing... so beautiful! !